Perfect for all watches. N ew general purpose watch oil 10ml. "The golden rule appears to be do not drown the watch in oil, use a very small amount only". Moebius is the leading swiss manufacturer of watch & clock oils. 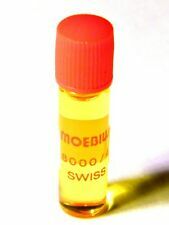 1 ml Bottle of Moebius 8000. 1 Piece Benzine Cup Container. - FOR EXAMPLE: cleaning balance wheels or removing excess oil from jewels etc. - PERFECT SEAL: The well fitting lid prevents the entry of dust and the premature evaporation of solutions,Used by watchmakers for cleaning solutions when a quick clean is required during watch repair. 30ml oil is enough for daily use. Item Type: Watch Oil. 1 Watch Oil. If you do not receive our reply within 48 hours, pls. Color: As Shown in The Pictures. 30ml oil is enough for daily use. Item Type: Watch Oil. 1 Watch Oil. If you do not receive our reply within 48 hours, pls. If you are satisfied with our service, pls. 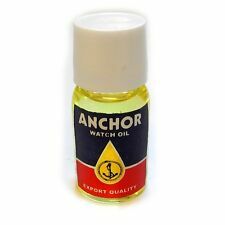 Pocketwatch & All Watches Lubricant Clock Cleaning Tool High Quality Watch Oil. It is a bottle of liquid lubricant oil for pocket and most kinds of watches and clocks. Widely used in the assembly and maintenance of watches and clocks, also precision machinery industry. Net content: 50g. Professional Rust Remover for watches. Remove rust on screw,gear or other parts. 20ml oil is enough for daily use. Item Type: Watch Oil. 1 Watch Oil. If you do not receive our reply within 48 hours, pls. If you are satisfied with our service, pls. 5ml oil is enough for daily use. Material: Glass Watch Oil. Item Type: Watch Oil. 1 Watch Oil. If you do not receive our reply within 48 hours, pls. If you are satisfied with our service, pls. Color: As Shown in The Pictures. 20ml oil is enough for daily use. Item Type: Watch Oil. If you do not receive our reply within 48 hours, pls. If you are satisfied with our service, pls. 1 Watch Oil. It is a bottle of liquid lubricant oil for pocket and most kinds of watches and clocks. Widely used in the assembly and maintenance of watches and clocks, also precision machinery industry. Item Type: Watch Oil. 30ml oil is enough for daily use. Item Type: Watch Oil. 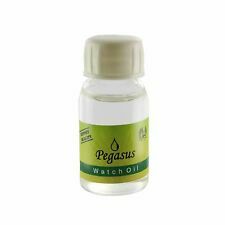 1 Watch Oil. If you do not receive our reply within 48 hours, pls. If you are satisfied with our service, pls. Color: As Shown in The Pictures. 30ml oil is enough for daily use. High Quality Watches Clock Maintenance Lubricant Cleaning Tool Watch Repair Oil. Item Type: Watch Oil. 1 Watch Oil. Color: As Shown in The Pictures. If you are satisfied with our service, pls. Material: Glass Waterproof Oil. Item Type: Waterproof Oil. 1 Waterproof Oil. If you do not receive our reply within 48 hours, pls. Weight: Approx. Suitable for Swiss watches and for Japanese watches. Material: Glass Waterproof Oil. Item Type: Waterproof Oil. 1 Waterproof Oil. If you do not receive our reply within 48 hours, pls. If you are satisfied with our service, pls. Suitable for Swiss watches and for Japanese watches. This is a new watch oiler pen type. 5 Pieces Oil Pin Pens. - Oil is not included. - These can be used for applying lubricants, adhesives, and other lubricants. 5ml oil is enough for daily use. Material: Glass Watch Oil. Item Type: Watch Oil. 1 Watch Oil. If you do not receive our reply within 48 hours, pls. If you are satisfied with our service, pls. 5ml oil is enough for daily use. Item Type: Watch Oil. Material: Glass Watch Oil. 1 Watch Oil. If you do not receive our reply within 48 hours, pls. This is a new watch oiler pen type. 5 Pieces Oil Pin Pens. - Oil is not included. - These can be used for applying lubricants, adhesives, and other lubricants. - Great for use with watches, clocks, and toys. FOR EXAMPLE: cleaning balance wheels or removing excess oil from jewels etc. - PERFECT SEAL: The well fitting lid prevents the entry of dust and the premature evaporation of solutions,Used by watchmakers for cleaning solutions when a quick clean is required during watch repair.